I was sent a link this week to a very interesting interview with Dr. Mark Griffiths who has spent years investigating the psychology of casino games, addictiveness and the connections between the two. 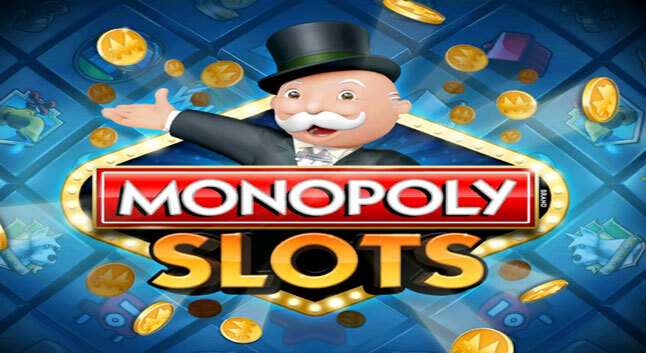 The interview sheds some really interesting light on why slots are addictive, what elements in particular appeal to players and expands on theories such as the “near miss” concept which is particularly interesting, especially considering I have always wondered if online slots are programmed to display near misses specifically. The article is very wordy but when you start reading it, if you are into this type of thing, it is a superb read. You can read it here. Some of his findings relating to familiarity and player acquisition also tie in quite nicely with my thoughts on the plethora of film and movie themed slots we have seen recently. 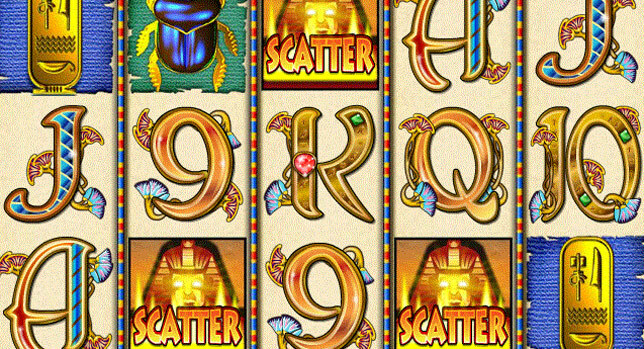 On a similar topic, I remember reading this article on the role that sounds play in the attractiveness of slots. Another interesting read but less depth than the interview above. Finally, after years of waiting for regulated and licensed online casino gambling, the wait for New Jersey residents is over! 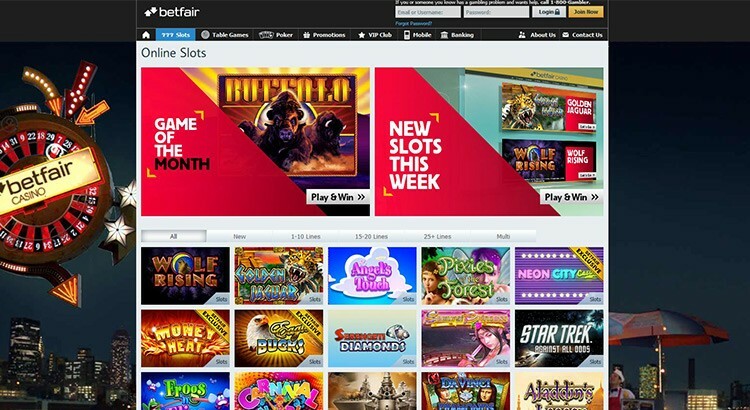 With licences now issued, one of the first names to set up a New Jersey online casino is the big UK gambling brandÂ Betfair, in association with Trump Plaza (AC). 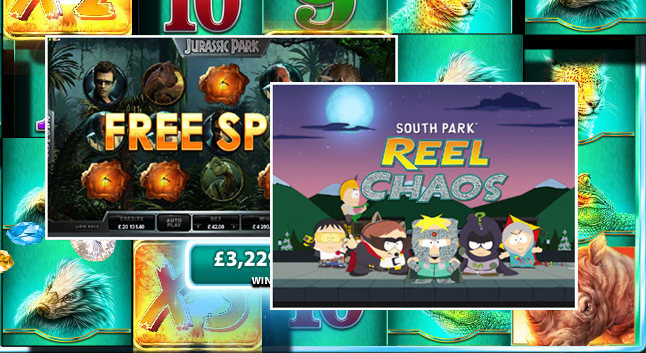 Using the Game Account platform with 24 table games and a relatively small number of very decent slot games like Cleopatra, Davinci Diamonds, Monopoly (all IGT), Roaming Reels, 50 Dolphins and a range of Ainsworth (Aristocrat style) and Incredible Tech slots, the initial offering is relatively small but set to expand pretty rapidly. At present, only residents of New Jersey can sign up to take advantage of the $10 no-deposit bonus plus $300 first-deposit bonusÂ and even this involves downloading geo-location software and providing the relevant ID (this is now the norm for any US-facing legal and regulated casino). Players can receive their winnings via check, wire or directly in person from the Trump Plaza cashier itself in Atlantic City. If youÂ live in New Jersey and want to be among the first to play online casino games for real in a licensed and regulated environment,Â click here to play at Betfair casino. 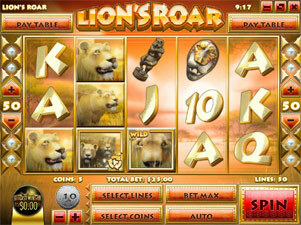 A new search engine dedicated to finding online slot machines has been launched. TheÂ Slotseek search engineÂ has between 1000 and 2000 slot machines listed in it’s database along with every online casino that has each game. 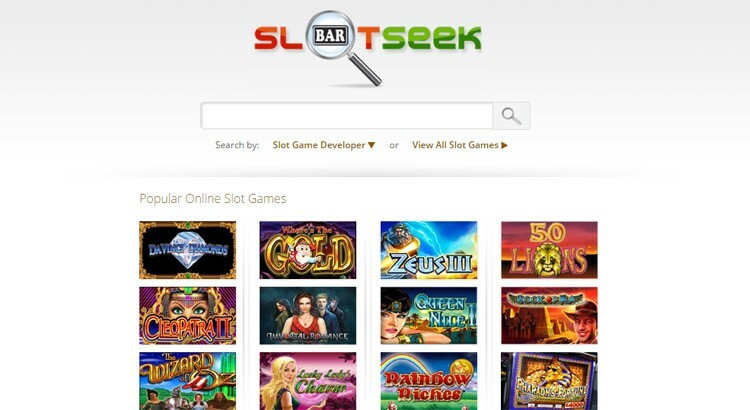 Like any search engine, just type in the name of a slot machine and Slotseek returns a list of all the online sites that have that game. Additionally, in many instances the list of results shows videos of the slot (sourced from theÂ SlotjunkiesÂ slots database), each showing the range of bonus features in action. The list of matching casinos also provides options for the searcher to view a complete list of games from each casino in a popup window, along with the ability to see a “fact sheet” for each casino that details ownership, licennsing information, approximate cashout times and more intricate details that a slots player may be interested to know before signing up. 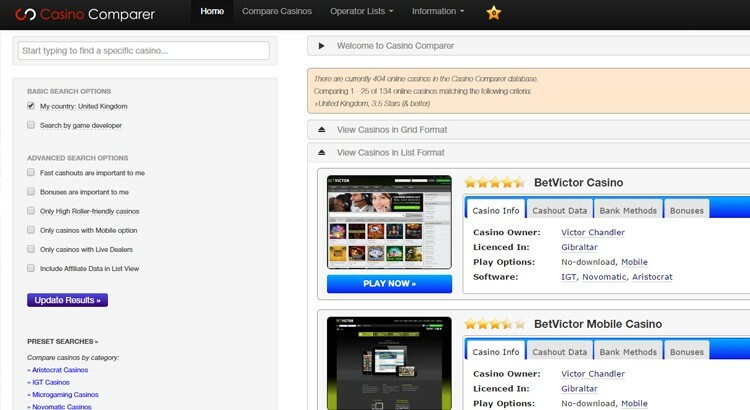 Hot on the heels of a new slots search engine comes the industry’s first genuine online casino comparison engine. The Casino Comparer website contains data to help players decide on a good casino to play from over 350 online casino offerings including live casinos, slots sites and bookmakers. Casino Comparer – as the name suggests – has a search function in the left margin that allows prospective casino players to compare specific operational criteria that they deem important. The search results then deliver information ranging from cash-out processing speeds to bonuses, Â ownership information and licensing jurisdictions and a host of other data collected by the sites organisers.The user can also choose whether to display the results in a “Grid” format or in a more traditional list. The site also includes a feature that allows a user to input the names of online casinos into the engine to see direct side-by-side comparisons of just those operations. Somewhat more comprehensive than the casinos I have reviewed here on onlinecasinosslots.com it is fair to say! To try it for yourself,Â visit the Casino Comparer website.